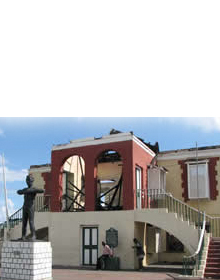 The 1907 Earthquake Monument stands as a lasting reminder of the earthquake which severely damaged the capital city of Kingston. Over 1,000 persons perished and 501 unidentified victims of this natural disaster were buried at the site. 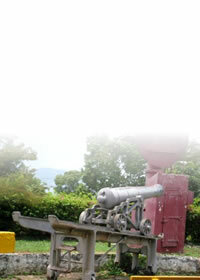 In 1909 the monument was erected in their memory. 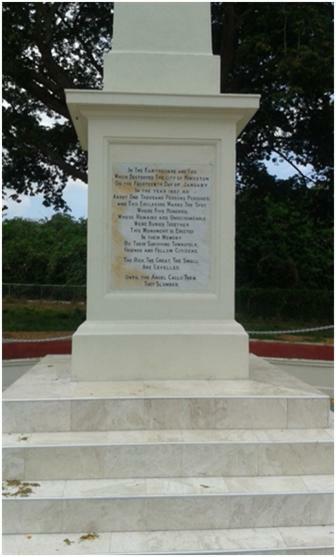 The monument therefore represents a notable chapter in the history of Jamaica, not only because of the untold tragedy, but also due to the fact that it brought about significant changes in the building code of the island; particularly with the use of concrete, instead of bricks in construction. The Monument is built over the graves of about 501 unrecognizable victims of the 1907 earthquake which devastated the city of Kingston. On Monday, January 14, 1907 at about 3:30pm, without warning, the earth began shake. The shock lasted exactly thirty-six seconds. Over 1,000 of Kingston’s inhabitants perished, many from the fires triggered by the earthquake. 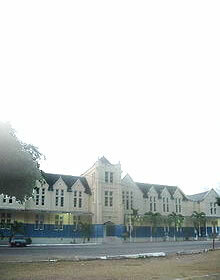 The Gleaner reported that on the morning following the earthquake, hundreds of bodies were found burned and charred along the principal streets of Kingston. It is believed that many who had been injured and unable to help themselves were burnt to death by the flames. All these bodies, many unidentifiable, were taken up for burial. However, with the large number of dead, coffins were exhausted and the bodies were therefore wrapped in sheets and buried in hastily dug trenches. These bodies were buried in that portion of the Bumper Hall property, adjoining the May Pen Cemetery, which was consecrated for use as a cemetery in 1898. The idea for a Monument over the graves originated with John McKenzie, then Superintendent of the May Pen Cemetery, who became concerned with the neglected state of the trenches. The Gleaner Company was approached for assistance and in 1908 the Company launched a fund for the erection of a suitable Memorial. There was an overwhelming response from the public and a sum of £378 5s 9d was collected. The Monument was completed in 1909 and on Wednesday, June 2, 1909, over six thousand persons gathered there to witness its unveiling. 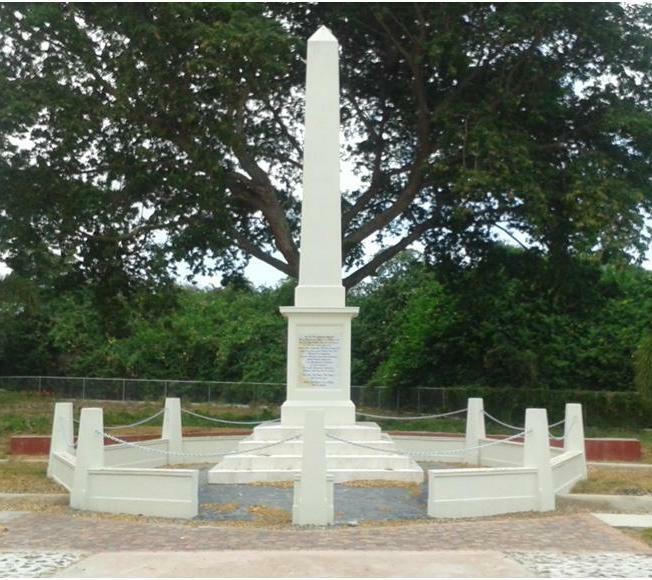 The Monument was rehabilitated in 2016. Marble tiles have been added to the base of the Monument and the grounds surrounding the memorial have been landscaped. “Earthquake Memorial. Unveiling of the Monument Erected at May Pen Cemetery by the Citizens of Kingston” in The Daily Gleaner Thursday, June 3, 1909.